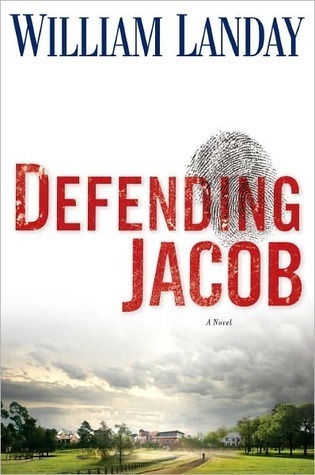 I love a good courtroom drama book and from what I hear, Defending Jacob by William Landay is just that. It came out at the beginning of 2012, but I just discovered it browsing through Barnes and Noble not too long ago. I have gone to buy it multiple times, but continue to get side-tracked and distracted– then I end up buying something else. Defending Jacob is about a respected and upstanding man, Andy, who has a great job and a happy family. Well that is until his son his accused of murdering another classmate. Although Andy loves his son and wants to believe the best in him, he slowly finds out that he doesn’t know his son at all. As the case progresses, Andy will have to face some things he would rather just sweep under the rug. With his marriage falling apart and trying to understand the acts of his son, this book questions where your loyalties lie in a situation like this. Needless to say this book sounds incredible to a law and order/family drama junkie like myself. One of these days I will get around to reading it! This entry was posted in Future Read Friday and tagged courtroom, Defending Jacob, family drama, fathers, law and order, murder, sons, William Landay. Bookmark the permalink.